First of its kind collaboration with federal government to defend and respond to cyber threats. Albany, NY - November 18, 2013 - Governor Andrew M. Cuomo today announced that the New York State Intelligence Center has relocated to the Center for Internet Security in East Greenbush, New York, putting the state’s primary cyber security protection agency under the same roof as a leading nonprofit organization dedicated to enhancing cyber security readiness and response around the globe. This new partnership provides New York with the opportunity to collect and analyze cyber threat information more effectively as well as enable state intelligence officials to better coordinate efforts with federal authorities to defend against and respond to cyber threats. The New York State Intelligence Center, led and managed by the Division of State Police, was established in August 2003 as an “all-crimes” fusion center responsible for gathering, analyzing and disseminating information and intelligence to a wide variety of state, local, territorial and tribal governments. The Center for Internet Security is a global nonprofit organization whose mission is to enhance cyber security readiness and response of the public and private sectors. The work of the CIS includes a joint security operations center that provides cyber warnings and analysis to promote information sharing throughout all levels of government. This new partnership creates a joint operations and analytic unit to more effectively analyze and respond to cyber occurrences including, but not limited to, network intrusions, hacking attempts, and efforts to disrupt the normal operation of public and private sectors such as the energy and electric grids and financial institutions. New York State Police Superintendent Joseph A. D'Amico said, "This collaboration will continue to establish New York State as a leader in cyber security. The NYSIC and CIS will work side by side to protect New Yorkers, its institutions and companies from cyber or physical threats. Working together with our partners, the New York State Police will continue to fight cyber crimes." Benjamin M. Lawsky, Superintendent of Financial Services and Chair of the Governor's Cyber Security Advisory Board, said: "As a global financial center, New York can and must be a national leader in fighting cyber threats. An 'all-hands-on-deck' approach is vital to achieving that objective. We have to make sure we remain vigilant and ahead of the curve as we confront ever-evolving technological threats to our state's infrastructure and economy." New York State Division of Homeland Security and Emergency Services Commissioner Jerome M. Hauer said, "Governor Cuomo has again shown creative and decisive leadership in establishing this important collaboration with the federal government to defend and respond to cyber threats. Global cyber attacks, which are continuously increasing in number and sophistication, focus on a variety of malicious objectives, including compromising systems, stealing or corrupting data, and harming critical infrastructure. Consequently, it is essential for our State to maintain robust, layered defenses which incorporate people, technology, and operations in order to continuously enhance our cyber security threat posture." 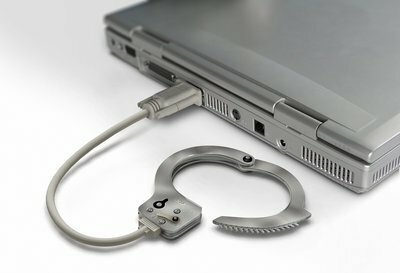 Coupling the state’s ongoing counter terrorism and intelligence capabilities with the CIS’s unique access to real time cyber threats from across the nation, makes this joint venture the first of its kind in U.S. law enforcement. The end result is enhanced protection for New York's critical infrastructure and for its residents. Subject: LongIsland.com - Your Name sent you Article details of "Governor Cuomo Announces Partnership With National Center for Internet Security to Strengthen New York's Cyber Security"